The Electrical Industries Charity is urging the industry to join its Practical Participation Programme and volunteer their time and skills to help transform the lives of those in need. Practical support is an essential tool which helps to change the lives of those desperately in need of a helping hand and could significantly improve their quality of life. By being part of the Charity’s Practical Participation Programme, you will have an opportunity to work alongside the Electrical Industries Charity and its partners in solving, or contributing to solutions, for those in need of your help. Once you sign up to be part of the Programme, the Charity will approach you on an as and when needed basis to ask for your assistance. This could be due to the need of equipment such as electrical supplies, building materials, heating equipment or skills required to help build house adaptations. Through its Practical Participation Programme, the Charity has helped many people to rebuild their lives and look forward to the future. For example, the Charity recently helped Max, a severely disabled six-year-old boy who shortly after his first birthday was diagnosed with Quadriplegic Cerebral Palsy, Dystonia and Chronic Lung Disease which left him wheelchair bound and unable to do anything himself. The Charity utilised its Practical Participation Programme and worked together with companies such as Heat Mat, Edmundson Electrical York, British Gas, Circle Control & Design Systems and Collingwood Lighting who had donated their products, services and skills and funded the shortfall of £26,000 for the necessary house adaptations to meet Max’s needs. 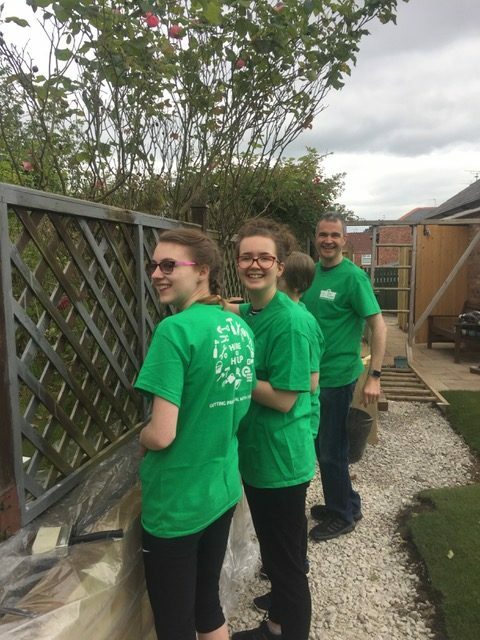 The Charity then organised a DIY day with volunteers from the Yorkshire Committee and landscaped the garden to allow easier access for Max – truly an industry effort. Practical support can go a long way if there are many of us to help. Join the Practical Participation Programme today and help people like Max to look forward to the future.